Pakistan is a great place for climbers. It has five of world’s 14, 8000 meters and it has more than 100 peaks greater than 7000m. 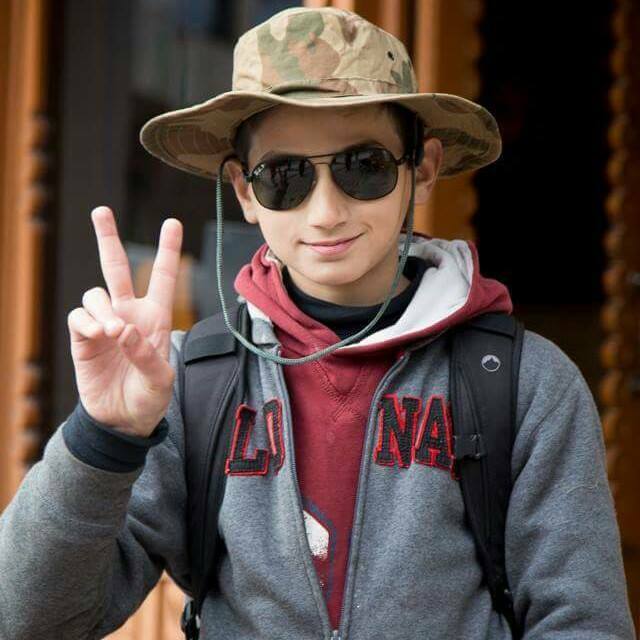 But how often is that a teenager can become an acclaimed trekker and morph into Pakistan’s Youngest Mountaineer. 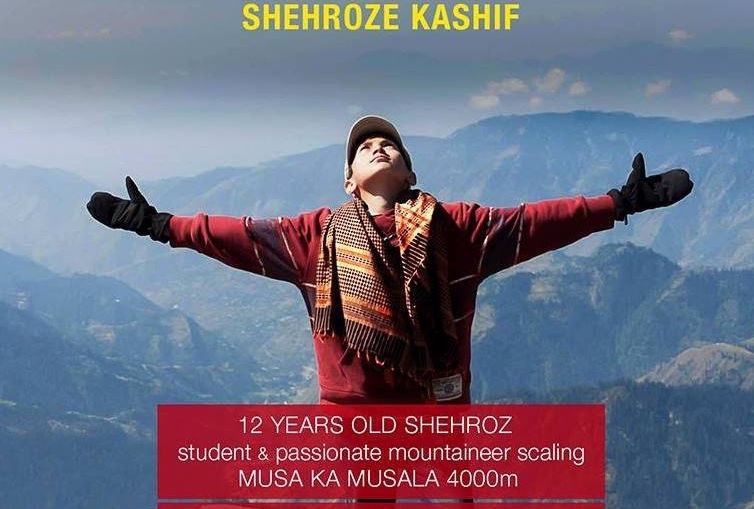 So as a matter of a fact this boy from Lahore is now on Pakistan’s climbing and mountaineering radar. His name ? Shehroze Kashif. His age ? Fifteen Years. According to Shehroze his inspiration came from one of his father’s trip to Shogran where he saw some trekkers starting their journey towards the PakPeak Makra (3885m).So that must have been love at first sight as Shehroze was particularly curious about what his father and his trekking partners did when they got to the top. (A question he still must be finding answer). 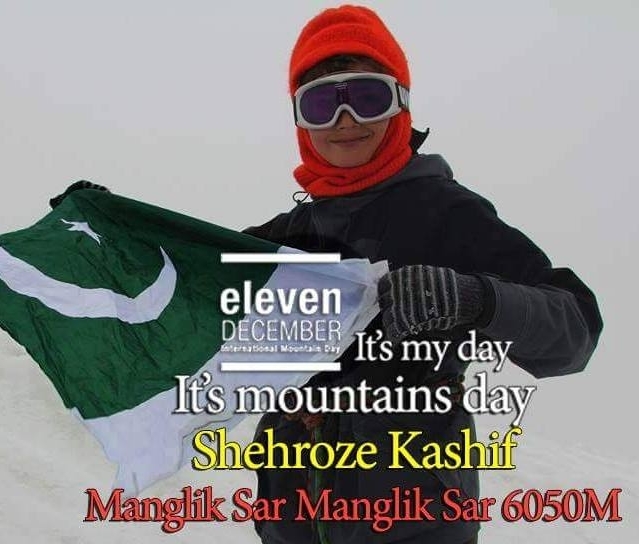 PakPeak Makra (3885m) – Shehroze in 2014 at the age of 12. 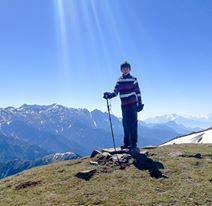 Next was PakPeak Musa Ka Musalla (4080m) in Kaghan Valley,which he also did at the age of 12 back in 2014. Next was PakPeak Ganga Choti (3044m) situated in Pir Panjal Range and located near Sudhan Gali in Bagh District, Azad Kashmir, Pakistan.With enough experience under his belt by now, the little mountaineer eyed for something serious. PakPeak Mingli Sar (6050m) is in the Shimshal Valley in Gilgit-Baltistan. Pakistan’s legendary mountaineer Nazir Sabir set foot for first time on PakPeak Minglik Sar (6050m) in 1988.After 27 year of Nazir Sabir’s great feat,15 year old Shehroze waved the national flag on top of PakPeak Mingli Sar (6050m) on 31 July 2015. He mentions that it was difficult peak to scale as the route was less than ideal. 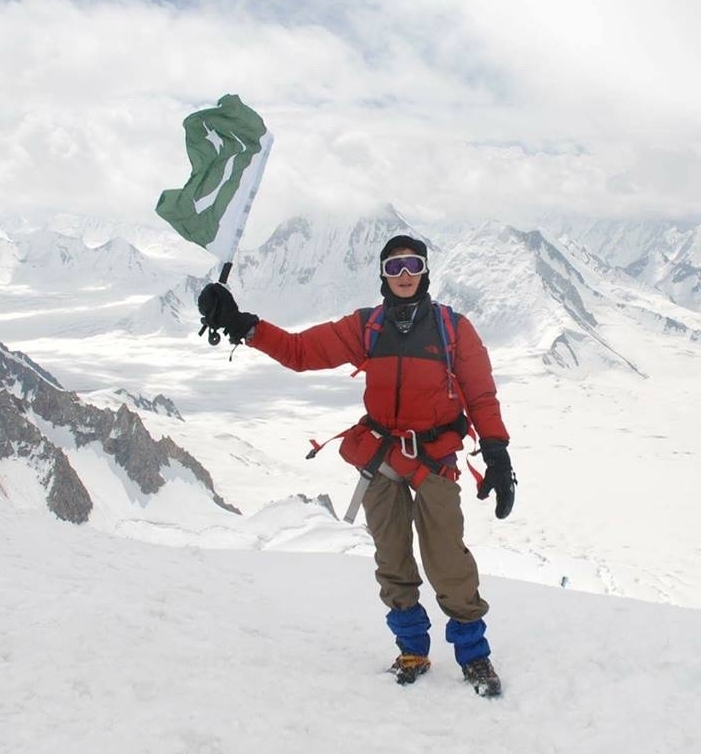 Apart from the above mentioned climbing feats, Gondogoro Pass near K2 base camp remains his another achievement.In August 2017,Shehroze added another feather to his hat by traversing intimidating Khurdopin Pass . 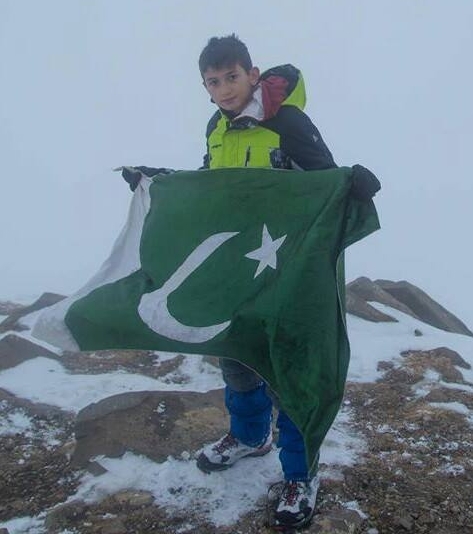 So what’s next for Pakistan’s Youngest Mountaineer ? Being from a country with greatest collection of mountains it can be difficult to choose from.However time is on his side.Who knows sooner or later a K2 Summit might be on the way. All the best Shehroze. Keep PakPeaking !